The easy estimating system comes with Quotation Templates and Cover Pages included. 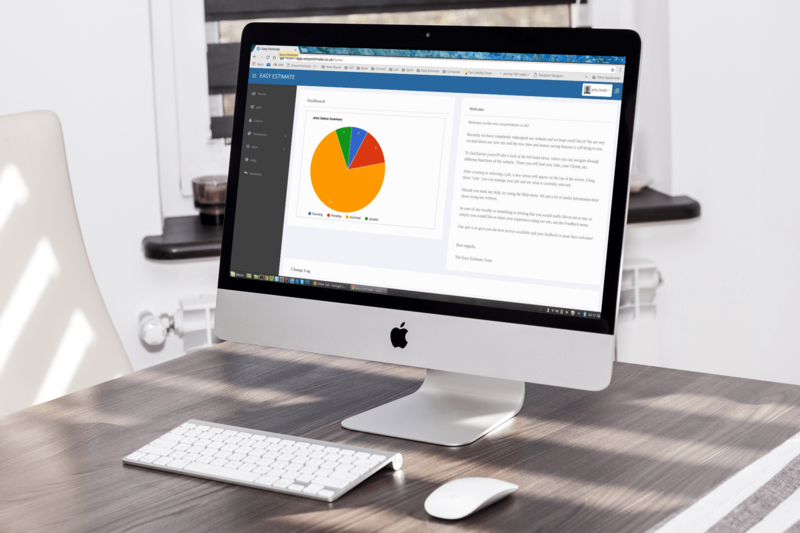 This helps you produce your own professional looking Quotes and gets them out to your Customer’s quicker. You can set the profit margins on the Quote to whatever you want, giving you complete control of the total price. The paperwork can be customized in any way to include your own company logo, and other trade association logo’s can be added if you belong to them. You can also export the quote to Microsoft word if you wish to do advanced levels of customization. The Quote can be set in any way to how you would like your information to be shown, for example you could show all the details lines with description, with or without prices. You can show just the work section totals, or even by room if you wanted. You can also just show a total at the bottom. The choice is yours. We include an example default cover sheet for you to start with, which can then, if needed, be customised with your own standard cover page and wording. Also included is an interactive quote, this enables you to send your customer a “Live” quote where the customer receives a link to a web page where they can see the quote, ask questions and electronically accept the quote notifying you with an email once they have done this. 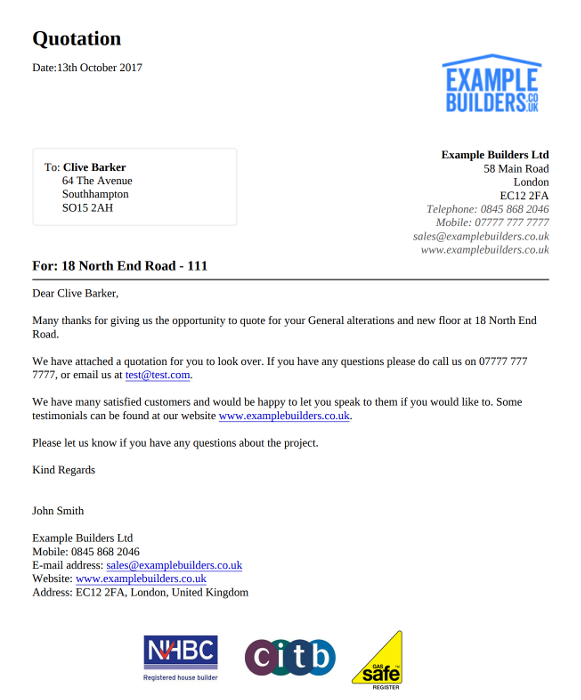 The construction estimating software can also produce your Invoices from the quotes that have been accepted by your customers. Getting your Invoices out in a timely manner will get you paid quicker. You can also add default payment terms and your own bank account details to help speed up payments as well. If you don’t like the system you don’t have a lot to lose, we have no minimum contracts simply cancel if you don’t like it at ANY time. Click here to start pricing now!